More than 16,650 hours devoted to community volunteer and service-learning programs by 989 students last year helped Lawrence University earn a spot on the 2013 President’s Higher Education Community Service Honor Roll for the seventh consecutive year. Lawrence is one of only two Wisconsin institutions to be cited every year by the Washington, D.C.-based Corporation for National and Community Service since it launched the honor roll program in 2006 in response to the thousands of college students from around the country who traveled to the Gulf Coast to help with relief efforts after Hurricane Katrina. The program salutes higher education institutions that reflect the values of exemplary community service and achieve meaningful outcomes in their communities on issues ranging from supporting at-risk youth to neighborhood revitalization. The 2013 Honor Roll recipients were announced at the American Council on Education’s 95th Annual Meeting March 4 in Washington, D.C. Lawrence was among 695 colleges and universities honored for their community impact. • Martin Luther King Jr. Day of Service. Under the umbrella theme of “learn, serve and celebrate,” Lawrence students and local alumni volunteers contributed more than 500 hours of service Jan.16, 2012 as part of the nationwide Martin Luther King Jr. Day of Service. 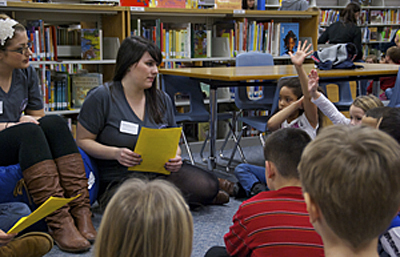 A total of 630 local K-12 students participated in a special curriculum created by Lawrence senior Marika Straw, which focused on diversity, fairness and social justice. 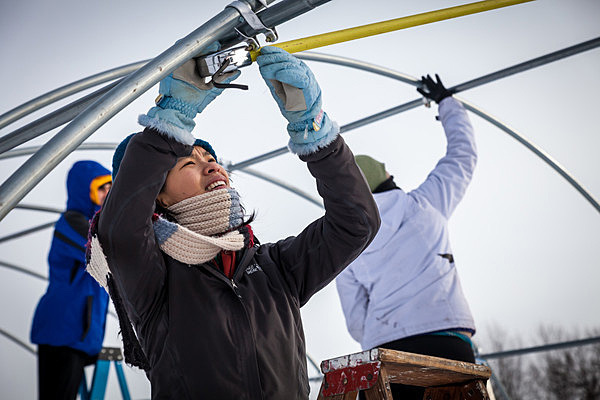 Lawrence students also volunteered time to repaint facilities at Heckrodt Wetland Reserve in Menasha and helped winterize homes with the Housing Partnership of the Fox Cities. • Relay for Life. Sixteen student teams of 185 participants fundraised on campus, among families, in the community, and online, generating more than $15,000 in support of cancer research and to support local programs that aid cancer patients, survivors and caregivers, including Look Good/Feel Better, Road to Recovery, Hope Lodges and Man to Man. • After-School Enrichment for Young Children in the Fox Cities. Partnering with the Boys and Girls Club, the Building for Kids museum and two Appleton elementary schools, this longitudinal project provides after-school programming for area youth. 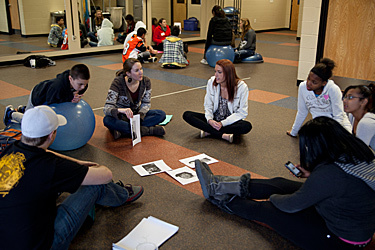 Throughout the school year, 55 Lawrence students provided nearly 2,000 hours of enrichment, skills assessments and data analysis with Professor of Psychology Beth Haines. The research has been presented to several professional psychology organizations and at the statewide Poverty Matters! Conference. 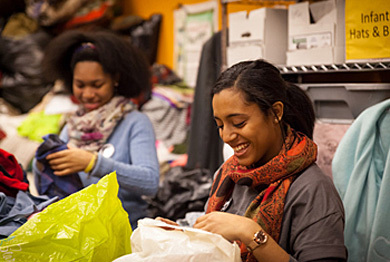 According to the Volunteering and Civic Life in America Report, 3.1 million college students dedicated more than 118 million hours of service across the country in 2012, a contribution valued at $2.5 billion.